We are so excited to announce our first comic series called "Self Careless" by amazing artist Catherina Horan! 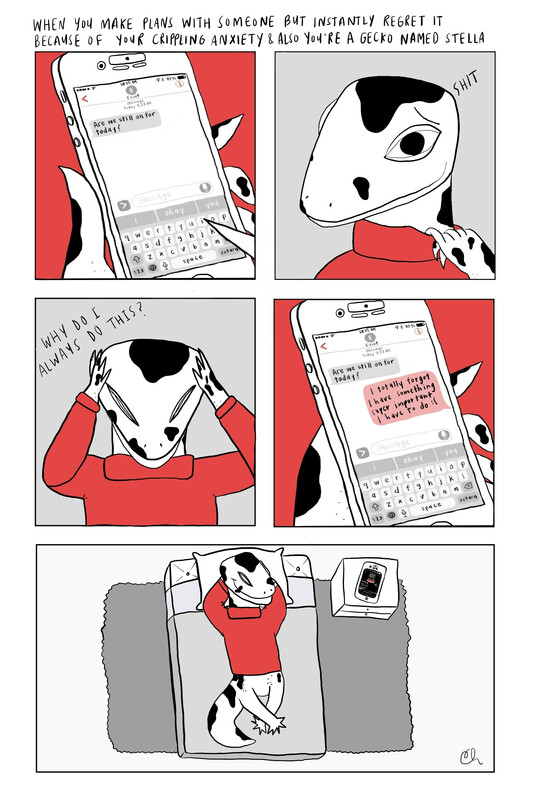 Follow Stella the Gecko, as they battle real life problems that many of us face everyday when it comes to taking care of ourselves... like making plans with someone and realizing you just need to not. Keep on the look out for more adventures with Stella as she takes on real battles we fight with our anxiety, misogyny, and life as it is now.